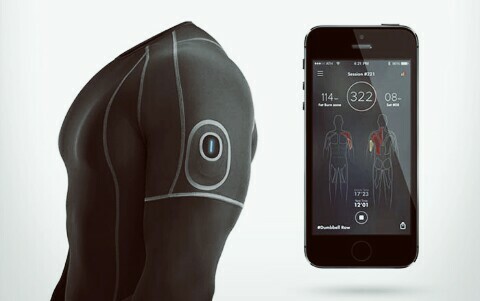 Athos hopes its workout wear can turn fitness training into a science and technology.The wearable tech company makes clothes with built-in sensors to monitor how different muscles are used during a workout. Which Athos a Bluetooth-enabled device transmits data back to a smartphone app, allowing users to see which areas they’re working. Now, trainers can actually understand what athletes are doing on the field, what’s working and what’s not working, and how to use that understanding to prepare them to perform their best. The product was the brainchild of Dhananja Jayalath and Christopher Wiebe, two students from Toronto’s University of Waterloo who also happened to be workout partners I think. Athos uses breathing and electromyography (EMG) sensors, which are built into the fabric, to track the electrical activity of the muscles and translate the data into a form that’s useful for the wearer. Someone bench pressing in an Athos shirt, for instance, can look over the data and see if they’re favoring one arm, and try to correct the imbalance. Someone doing squats can simultaneously glimpse at the Athos app to see if they’re activating their glutes properly. If your living in Redwood City, California, Athos offers only a few pricey products: a men’s shirt and shorts (together retailing for $547) and women’s leggings ($149). the company is currently focusing on professional and soon-to-be professional athletes from high school up through the Olympic level. 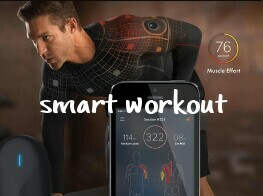 The clothes are already being trialed by NFL hopefuls, as well as seasoned pros.